One of the most exciting and nerve-racking decisions in life is choosing an engagement ring. With jewelry stores on and offline, the endless options can feel daunting and off-putting. To keep the romance of buying a ring intact, we have created the Passion fine jewelry collection. With over 90 ring styles to choose from in one simple location, your process can become a little easier. Quickly limit your search to see the styles you know your significant other will love. There are a variety of band types in this collection, ranging from crisscrossed to our signature Simon set. 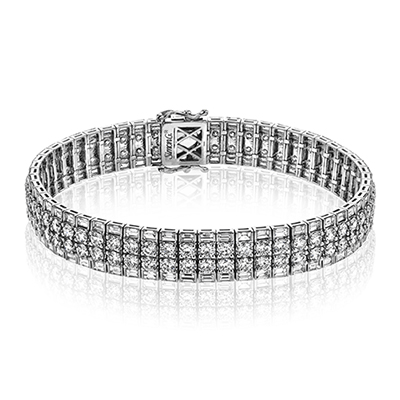 Each band holds different diamonds weights and types that help accentuate the center stone. One example of the Simon set in the Passion jewelry collection is a contemporary ring that features descending baguette diamonds on the band, with round cut white diamonds flanking them. 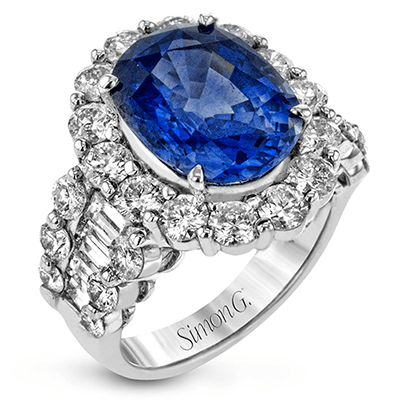 The dazzling stones of the band add to the brilliance of the center diamonds. There are many unusual types of engagement rings in this collection as well, perfect for a fiancée to be who loves to be different! One option showcases white baguette diamonds alongside pink diamonds on a two-tone white and rose gold band. 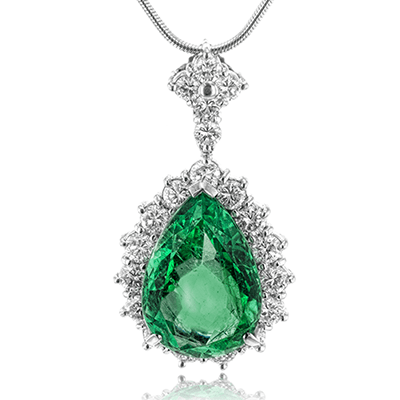 The center stone is a striking emerald shape—a satisfying geometric beauty! Rose gold is available for many other offerings in this collection, as well as blue sapphire and rose diamond accentuations. With the Passion designer jewelry collection, it is effortless to discover a one of a kind look for your loved one. Beyond engagement searches, wedding sets and anniversary rings are also included in this collection. Perhaps you’d like to buy a set so as to be fully prepared with a perfect match. With romantic anniversary rings alongside our wedding sets, you can preserve the Simon G. look with classic, white gold bands studded with white diamonds. Passionate jewelry doesn’t always necessitate marriage—our offerings exceed wedding and anniversary pieces in this collection. 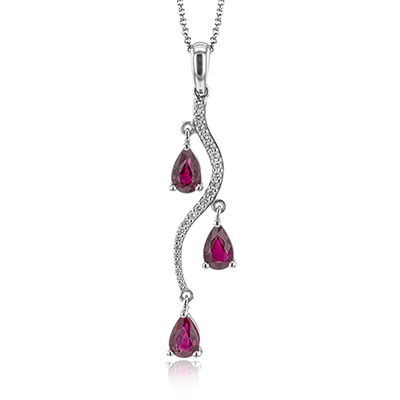 Eye-catching pendants, rings, earrings, and bangles shimmer with rubies, emeralds, blue sapphires, purple kunzite, aquamarine, and many other striking gemstones. 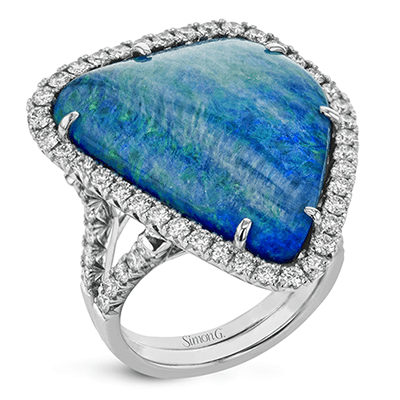 The timeless vibrancy of these stones are what creates the aura of passion around them. 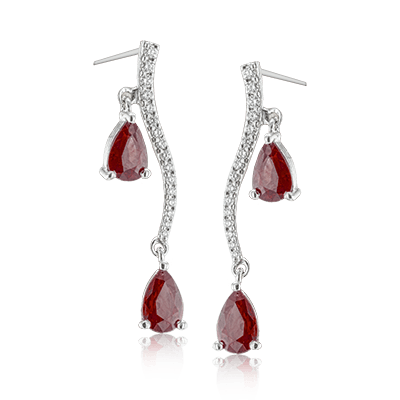 If you want a piece that puts your thoughts and feelings into a romantic gift, the Passion jewelry collection will provide wonderful options. If you have any questions about this collection, please contact us and we will be happy to assist you.